W and I went to see Dallas Buyer's Club, we were both intrigued by Matthew McConaughey's Golden Globe win. After 10 minutes of ugly cry in the dark theater after the movie was over, W leaned over and said, LK it is ok, don't cry - HIV/AIDS isn't a death sentence anymore. Selfishly, my tears were not for those suffering with AIDS, but for the thousands that I serve every day. Alzheimer's is still a death sentence. McConaughey's depiction of a man fighting the blackness of death was masterful. His fear, anger, pain, confusion and desperation was palpable. Many have made parallels between the Alzheimer's and HIV/AIDS movements. I started to write at length about the HIV/AIDS advocacy movement - which has resulted in BILLIONS annually in disease specific research through NIH. But one thing from the movie that I can't get off my mind are clinical trials. The movie is set in the mid-late 1980's, and it dawned on me that public perception of clinical trials has changed very little since that time, despite dramatic changes in the industry. Our advocacy and fundraising efforts to fund and support clinical trials and research will only go so far without participants. There are opportunities for healthy volunteers, caregivers, and individuals at all stages of Alzheimer's and dementia. Last week during our annual Leadership Summit we learned about a number of clinical trials, including a prevention trial that needs to screen 10,000 individuals in order to glean 1,000. That is Alzheimer's prevention, it is difficult to convey enough excitement about this landmark study and others like it. In Dallas Buyer's Club, McConaughey happens to stumble into a hospital participating in a particular drug study. I can not emphasize enough, this is no longer the reality. To get matched to a clinical trial, all you need now is a computer or phone. Hello, we are in the 21st century - just like everything else - the power is in our own hands. Alzheimer's Association TrialMatch, is a first of its kind clinical trial matching system - that connects willing volunteers to open and enrolling clinical trials. You may not be matched immediately, however, you never know when you will be needed. From FDA Phase III fast track, to patient advocates sitting on FDA advisory councils, to world wide collaborations filling in the gaps of federal funding. It is time to come out of the 80's and take control of our participation in clinical trials. You have one of the greatest Alzheimer's research tools at the tip of your fingers, for more information visit www.alz.org/research. Early-Stage Alzheimer's: In March we will offer the Living with Alzheimer's series for individuals in the early-stage of Alzheimer's and their caregivers. The programs will be hosted in Charleston, Parkersburg, & Martinsburg. Advocacy Day: Join us February 18 for our last Advocacy Day at the WV Capitol. For more information call 800.272.3900 or email wvinfo@alz.org. Upcoming Community Workshops: Attend a community workshop! Click here to see a list. If you could do one thing from sunrise to sunset, what would it be? It is Valentine's Day! Nothing says I love you like, rich delicious brownies. And these take the cake! 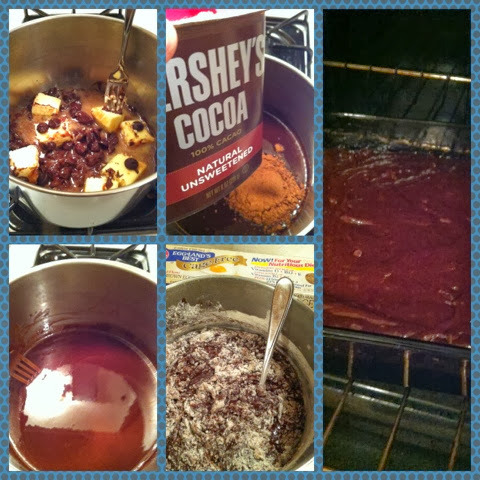 While I can't promise you will never use a box again - but this recipe is so easy, you might not! I didn't change a single thing, so for the recipe I will just send you to the goddess of all home cooking, the Pioneer Woman's website! Click here for this delicious and amazing recipe!